All of us fall in such a category where we are the beloved grandsons of our grandmothers. No one can deny the fact that the grandmother-grandson bond is completely selfless. A similar kind of situation took place as when we saw Ben John’s 85 year-old grandma, our hearts literally melted. 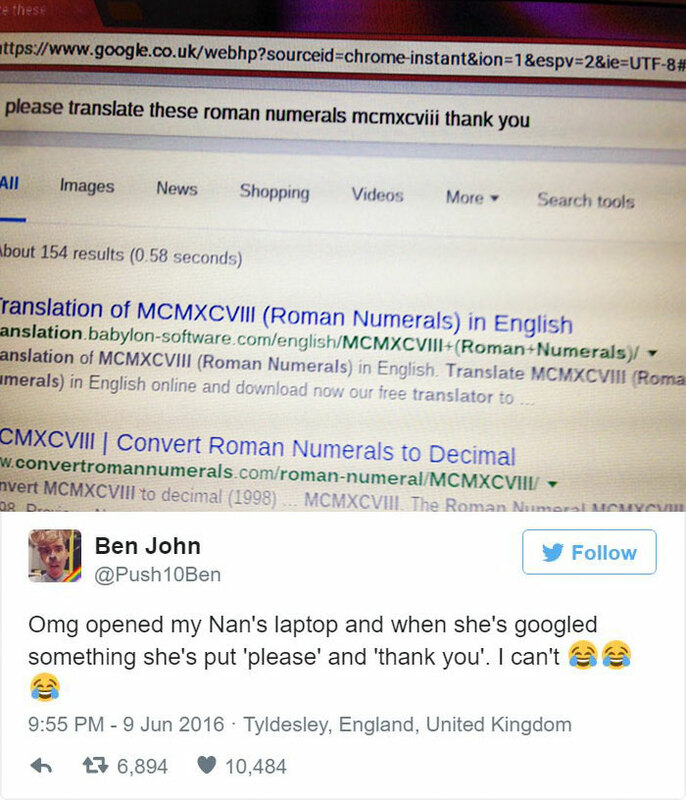 The 24-year old grandson found that particular happening so cute and he posted the same on twitter specifying how cute it was with a caption, “Omg opened my Nan’s laptop and when she’s googled something she’s put ‘please’ and ‘thank you’. I can’t”. And guess what? it got so viral that even Google responded to it. Such cuteness that is been shown in the granny’s google search brings a sense of happiness on our face and even the google knows it. Bless you Grandma and may you live very long..!